Van Vliet specializes in supplying consignments of new and used vehicles at very short notice. Van Vliet is able to meet these extremely tight schedules because all the work is done within the organization itself. An important aspect of this is the skill and flexibility of a highly experienced team of mechanics. 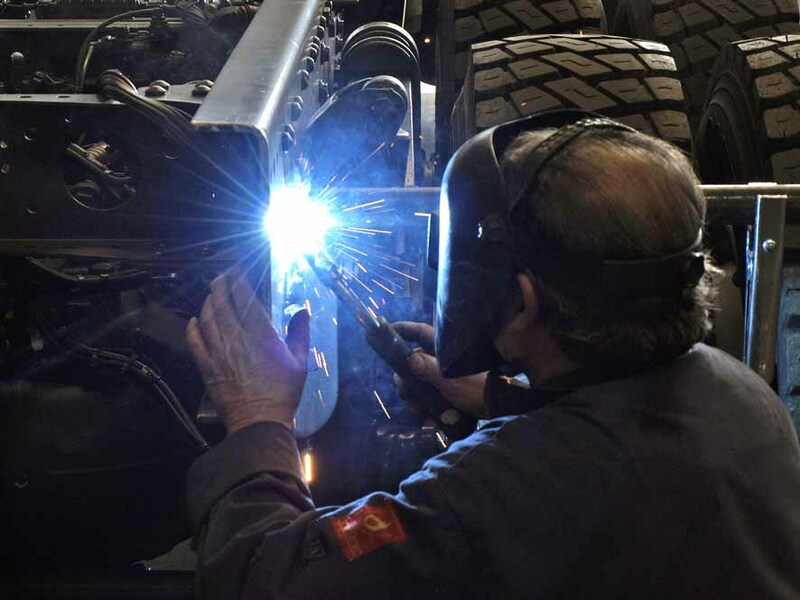 Van Vliet has modern garage facilities, employing more than forty mechanics. The critical points of every vehicle are checked by an inspection team and parts are replaced where necessary. Any special requirements can be catered for: modifications, bodywork, installing hydraulic tailgates, dumpers, dismountable bodies, refrigeration units, tachographs, speed limiters, respraying, lettering, etc. Customized work, done to the highest standards of craftsmanship and always exactly according to the agreed specifications and requirements. Van Vliet buyers check the general condition and mechanical state of every vehicle they consider buying in. Vehicles that fail to meet strict basic standards will not be added to the stock. This is the only way to achieve consistent quality and assure that Van Vliet can maintain its excellent reputation. Since 1996 Van Vliet has been awarded the ISO 9001:2008 certificate. Yet another guarantee that high quality is the standard.